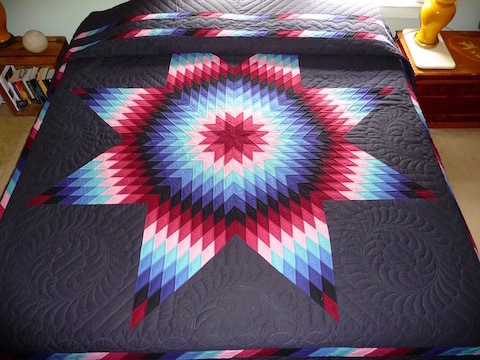 Star and star patterns are popular with many cultures, so it’s no wonder we often see stars in Amish quilts. 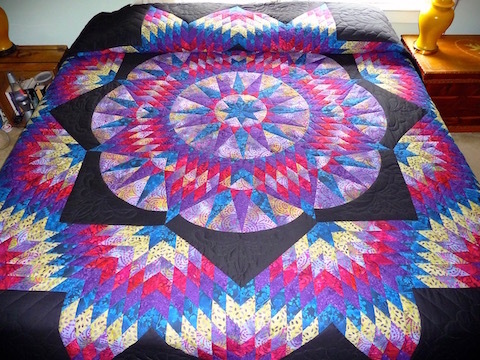 The pattern names are as varied as the stars: Lone Star, Texas Star, Star of Bethlehem, Broken Star, Mariners Star and Radiant Star are just a few quilt patterns containing stars. A star pattern quilt is typically constructed of hundreds (and in some case, thousands) of sewn-together diamond shaped pieces of fabric. Only skilled quilters are able to perfectly align the sides of the diamonds to create star patterns. These difficult to make and much-prized patterns are in the permanent collections of museums including the Carnegie Museum and the Smithsonian. 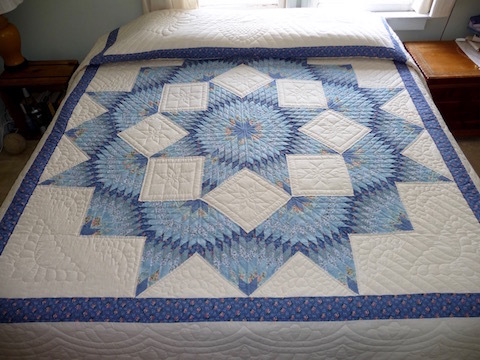 In the case of Amish quilts, a star pattern contains a great deal of symbolism. A star represents good fortune, love, hope, harmony, energy, fertility and protection from fires. There are also finer design criteria pertaining to the number of points in a star, which also has significance. For example, eight points symbolizes abundance and good will.